Your small kitchen may be limited in size, but its design potential is boundless. It may be trickier to remodel because every square foot counts, but you can get a lot from your tiny room with sound design decisions. Modern kitchens serve many purposes. They provide snack bars for dining, plenty of seating for socialization and extra counter space for schoolwork or recipe-hunting. With a pint-sized kitchen, though, it’s best to strictly design for what it’s intended to in the first place: prepping meals. If you love to cook, make a conscious effort to pick petite appliances and shrink the sink to economize on space. You may not be able to extend the floor area or knock down a wall, but you can create an illusion of more space with open shelving. If you want cabinet doors, choose glazed over opaque ones to introduce a sense of depth into the room. This trick always works wonders for bath remodeling projects; it shouldn’t be any different for kitchen renovation. Dim lighting can make your already small kitchen even more claustrophobic. Mix artificial lights thoughtfully and place them strategically to counterbalance the way they affect the colorization of the contents of the room. Further, utilize reflective surfaces to bounce the light around the kitchen. Use windows to good effect to harness the sun and help open up your space with views. Any experienced interior and exterior remodeling expert will say that colors change the way the eye perceives things. Abundant quantities of pastel colors can make your little kitchen seem larger. Bold hues aren’t necessarily banned, but make sure the light ones rule. 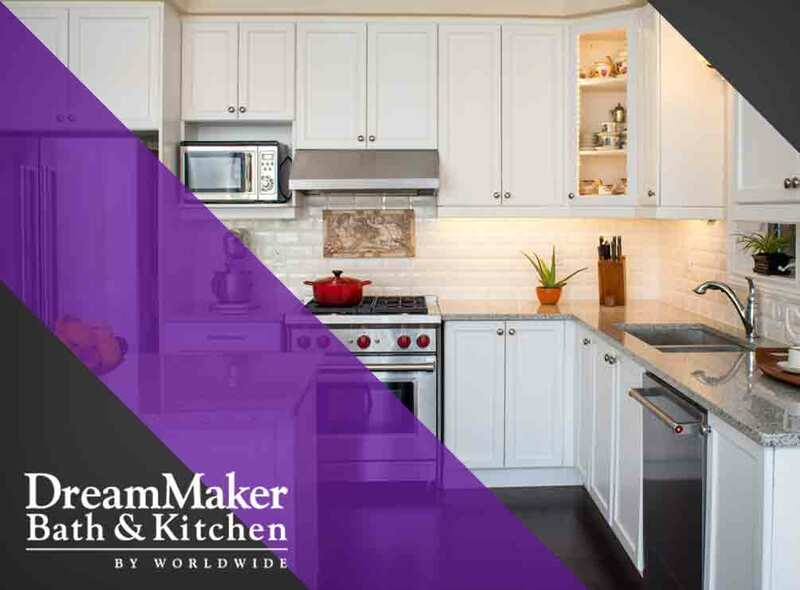 DreamMaker Bath and Kitchen can help you unlock the huge design potential of your tiny kitchen. Call us at (616) 200-7495 to get your project started. We make sure each service we offer can enrich our clients’ lives with dignity, excellence, humility and respect. We serve homeowners in Grand Rapids, MI, and neighboring communities.